Stay in touch with Lube-Power. One of the core manufacturing capabilities at Lube-Power is pipe spool fabrication. We produce hundreds of carbon steel, stainless steel and other alloy grade pipe spools on a monthly basis. 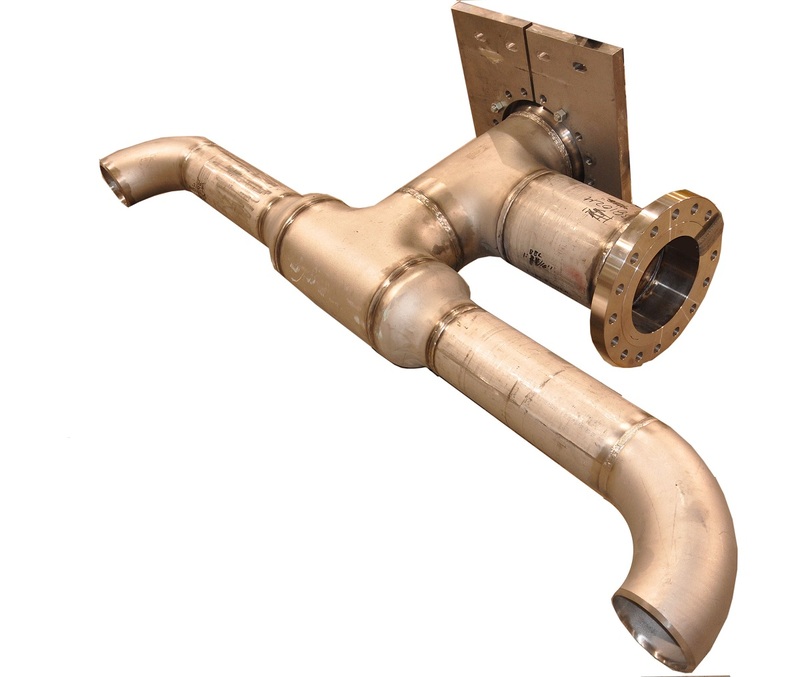 These can be custom designed and engineered by our staff or build to print pipe spool orders for OEM’s, one-time applications, retrofits, maintenance or other small or large projects. We also vertically integrate our fabrication capabilities by using them in our engineer to order lube, seal, control systems, seal support systems, seal gas panels, pressure vessels and other systems. Additionally, our factory is staffed with highly skilled and certified tradespeople including pipefitters, and pipe welders. All are qualified to ASME Section IX with exceptional internal performance records, and superior quality when compared to our competitors. This results in more efficient and cost effective solutions for our customers. We have an ISO 9001 approved QA/QC program and actively audited QA/QC process controls to ensure the completed product and documentation is correct. All piping materials are received and recorded by heat number and project number which can be traced to their respective material test reports. Therefore, all pipe spools have 100% traceability that is maintained throughout the manufacturing and quality inspection processes. All welding is 100% visually inspection by an AWS certified weld inspector. We also have a number of other inspection, examination and verification process capabilities, which include but are not limited to: random or 100% radiography, dye penetrant examination, magnetic particle examination, positive alloy identification with mapping and data analysis report, ferrite testing, hydrostatic testing (up to 15,000 PSI/ 1,034 BAR) with multiple fluids, and flushing to multiple standards with an in house particle counter. Given the fast-paced and complex nature of today’s engineered piping projects; Lube-Power provides superior customer support by offering our customers and clients a single point of contact. We also provide three dimensional models so our customers can simply drag and drop our piping models into their existing plant layout models.